Home / Editor's Choice, Entertainment News, Featured Articles, Forum and discussion, Lifestyle / KALONZO launches a smear campaign against Makueni Governor KIVUTHA KIBWANA over his presidential ambitions. KALONZO launches a smear campaign against Makueni Governor KIVUTHA KIBWANA over his presidential ambitions. Friday, September 14, 2018 - Makueni Governor Prof. Kivutha Kibwana has wowed Kenyans with his impressive development record which has seen some Kenyans urge him to go for the country’s top seat come 2022. However, his shining star and standing as a man of integrity has made some senior Kamba politicians jittery. Among those unhappy with the good professor’s rising star is Wiper leader, Kalonzo Musyoka. 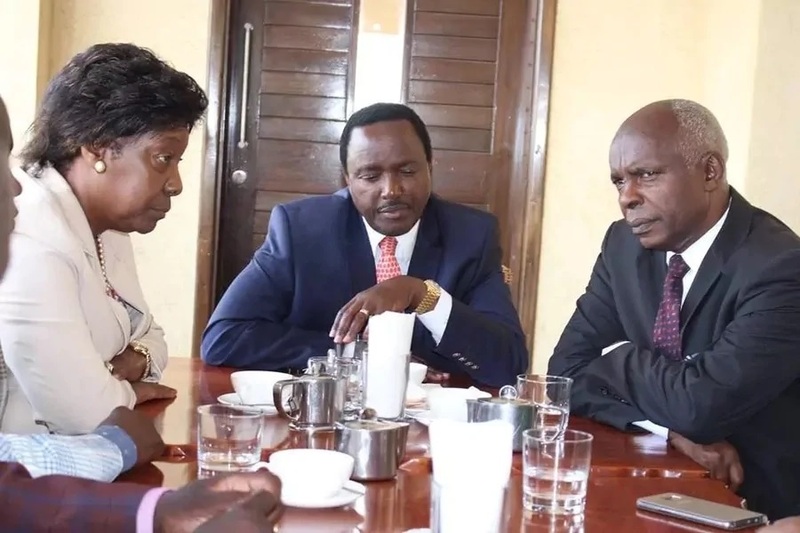 It has emerged that Kalonzo is secretly conniving with MCAs and Ukambani politicians to plant doubt on Kibwana’s leadership after the Governor started toying with the idea of running for president. Kalonzo has been trying to discredit Kibwana’s initiatives claiming most of them are just for PR and don’t benefit Makueni residents. Recently, a local paper ran a damaging article indicating that mangoes displayed at Kalamba Fruit Processing Plant in Makueni to demonstrate value addition initiative in Agriculture had been bought from West Pokot. The fruit processing plant is one of Kibwana’s success stories which has seen several Governors visit Makueni for benchmarking. Kalonzo or Watermelon as he’s fondly referred to over his flip-flopping nature knows that he will have no chance against Kibwana and has vowed to cut him to size ahead of the 2022 elections.